There's one fishing trip I am looking forward to above all others. I can't wait to take my kids out on the stream and get them addicted to fishing. 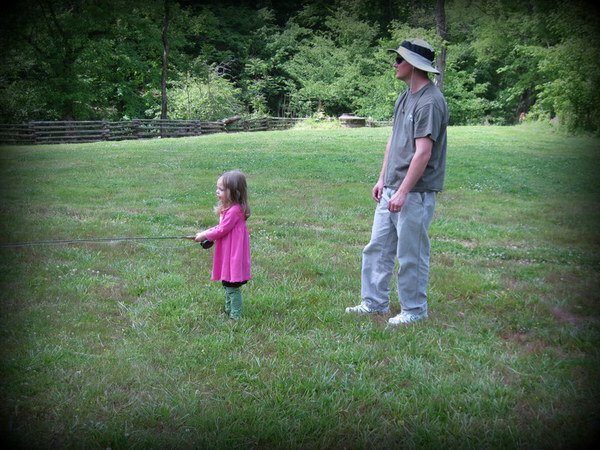 My daughter will most likely be the first, forced out into a stream with a fly rod. Even with her daddy ignoring her pleas for a Dora the Explorer fishing pole. She loves the outdoors and exploring but she hasn't shown a huge interest in fishing. A concern I have is her independence. She wants to do EVERYTHING on her own. I was doing a casting demo at a county fair. My daughter wanted to try it out. Notice where I am. Every time I tried to help or guide her hand she would shoo me away like a horsefly and say "I can do it, I can do it." I'm thinking this scenario is going to play out for along time. Me trying to hold her hand through every step in life and her defiantly wanting to do everything herself. There's a part of it that makes me sad and a part of me that loves the independence at the same time. I guess no matter what you try to help your kids and it's a blessing if they have interest in the same hobbies. When I bought this short rod I was hoping it might be her first. Then maybe passed on to my son. One great thing I've learned from fishing is it is a great opportunity to get to know someone. Sometimes people share things they'd never share in a different situation. Who better to get to know than your own children. It's been awhile but I finally cast a fly right where I thought a fish should be and caught one. I was starting to wonder if I have no idea where fish really hold. Recenly every "fishy" looking spot I attempted to fish resulted in nothing. Yesterday a buddy and I hit a local lake. It was a slow morning until I cast a white wooly bugger near a half submerged log. It was one of those casts where you think if I don't catch one like this I probably won't catch anything all day. Sure enough the line jerked and a fish was on. Nothing amazing but definitely a confidence booster. Turned out to be my only fish of the day. 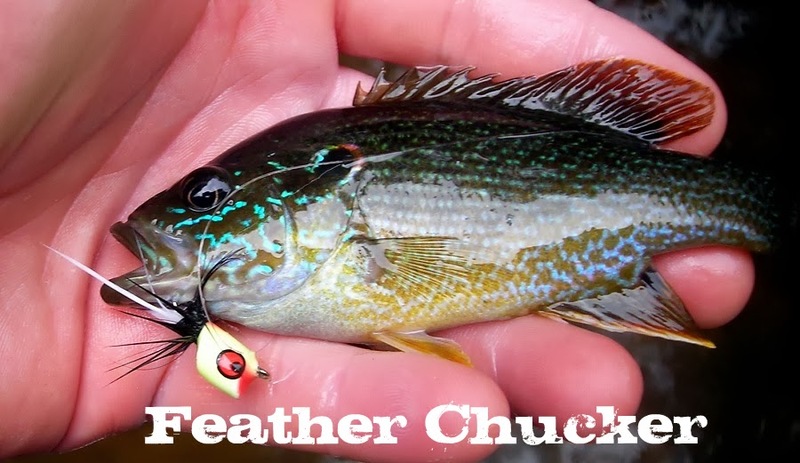 After reading several fishing articles and blogs I've come to the conclusion that several factors give the average fly fisherman an advantage. For some it is skill, others it is location and above all it's fishing access. Places that don't see very much fishing pressure and access is private or limited to only those in the know. I've been lucky enough to fish such a place. It is near my father in laws house and the fishing is ridiculous. We had talked about fishing in the morning but his late shift made him stall in the morning. He could tell by my constant badgering about when are we going that I was eager. He finally said "well you can go by yourself." I jumped at the chance and called to get permission. Permission was given before the sentence could even be completed. A common occurrence for country neighbors. I quickly gathered my gear trying to not look too obvious that I was trying to get out the door as quickly as possible. I gave a kiss and hug to the family and bolted to my little piece of heaven. The only signs another person has been here is the grass cleared near the bank. Mainly for the tractor and cattle. The water is pristine and you have no other sign a fisherman has been here. No random monofilament dangling from branches or pieces or styrofoam bait containers along the bank. No neglected bobbers stuck in the middle of the river attached to a submerged log or some other debris. Just a lot of pretty scenery and isolation except for the company of these guys. When you find places like this you never want to leave. You're reluctant to share them and if you even remotely talk about it you give directions that are way off. The fish were in the fast water. Different from what I'm used too. They were slamming clousers swung across the current. The water was so clear I could see all the follows from the fish I didn't catch and the takes from the fish that came to hand. This place is how it should be. There are plenty of 8-10inch smallmouth but the bigger fish aren't easy to catch. You might see them but they won't hit anything. It takes skill and most likely luck to hook them. Catching them any other way would be an injustice. There's nothing not to like about this place. It's about as perfect as it can be. From my experience August has always been catfish month. This most recent fishing trip just confirmed that even more. My mother is still getting the hang of fly fishing. 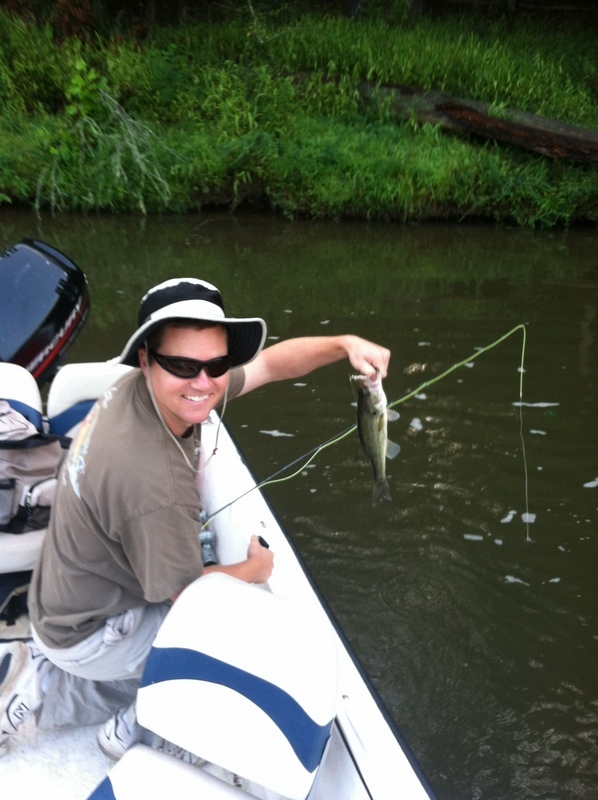 She recently took a Orvis Fly Fishing 101 class where she learned the basics of casting and how to rig the rod herself. This was the first trip where she rigged up her fly rod and tied all the flies on herself. The only help I provided was suggestions on fly selection. The trip was really a test for my new toy. I have never used a fish finder before and I have always been interested in how exactly they work. If nothing else it would be neat to see what the bottom of the lake looks like. I wanted to cover a lot of water so I decided to rent a canoe. 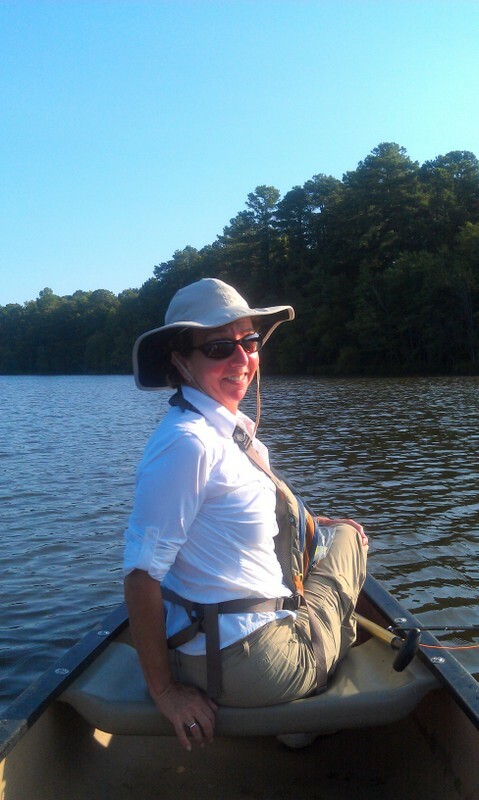 I haven't fly fished much from a canoe and my mother hadn't done it ever. She hasn't had much experience in a canoe in general. We headed out and the weather was almost perfect. The fish finder didn't mark much and it was amazing how much of the lake bottom was featureless. The finder showed the water was 81 degrees and the average depth was around 8ft. I set the fish alarm to only go off if it signals medium to large fish. Not really sure what that means but the finder went off at various points that made sense. Any indention's or obvious changes on the lake bottom usually registered at least one fish. The fishing was slow and as we we let the wind drift the canoe I heard a familiar sound of a fish feeder. At first I wasn't sure if that was exactly what I heard but then I saw the splashes and fins from fish feeding underneath. We headed over and started to fish around the feeder. By the time we got there the surface frenzy had died down but you knew the fish had to still be there. The fish finder started to go crazy registering fish all over. I'm not sure if the fish alarm is a good or bad thing. It was kind of hectic looking through my fly box and being distracted with beep..... beep beep..... beep in the background. Each beep signaled a fish and one showed up as a big one. I knew something that looked like a fish pellet would probably work but I had nothing similar. I decided to go with a carp crack fly my buddy ties. I hucked my line near the feeder waiting for a tug. It didn't take long. After a few stips I felt resistance and had a fish on. I figured it was a catfish and I tried setting the hook a few more times. That was my mistake, the fish came loose right under the boat. We circled the feeder a few times and as I was looking across the lake I heard "I got one, I got one!" I looked over to see my mom's rod bent over and almost pulling the tip into the water. I remembered she only had a 5wt and this fish was pulling hard. I thought if it was a big cat it might break it. I tried to position the boat and give her directions to have the fish tow the canoe. That way it could get tired on its on instead of making the rod do all the work. In the riot I grabbed my mom's phone and started to record her first big fish with a fly rod. You can tell from the video I had more fun watching her catch it than if I had caught the fish myself. She did a great job fighting the fish and I could tell she was stoked the whole day. 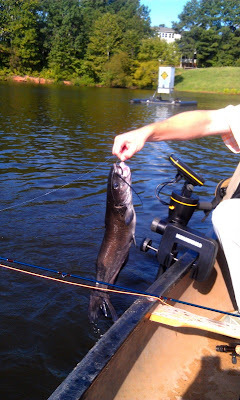 It was a really nice catfish and a great accomplishment to catch it with a fly rod. If this is an indication of the fishing in August, bring on the catfish!